Since the company’s inception, founder and CEO Chef Matthew Antoun ​has built Modern Art Catering ​into a recognized brand throughout Los Angeles. Matthew has spent years traveling the world and working in numerous countries with multiple chefs to bring back ingredients, styles, and new ways of cooking to both his company and his clients. After training under some of the most esteemed chefs in the world and refining his ideology of food, Matthew decided to enter the catering business, where he sought to bring restaurant quality food to the event industry. He quickly became known for his skills both in the kitchen and as a manager. When Kidspace Children’s Museum ​was unhappy with the service of another well recognized multinational food service company, they came running to Matthew. Within 4 months, he completely turned around their menu and now runs their cafe, which feeds over 300,000 guests every year. He also successfully runs the cafes inside five different Los Angeles YMCAs​. Under Matthew’s direction, Modern Art Catering has grown to be one of the largest and most respected catering companies in Los Angeles. Modern Art recently merged with The Spot Gourmet​, and now Matthew manages over 200 employees ​and 75 events per week​. Today, Modern Art Catering has the privilege of managing events for 1000+ guests ​at some of the largest and most exclusive venues in the Los Angeles area, including Disney​, The University of Southern California​, and Skyspace​. Matthew’s celebrity clientele includes the members of Linkin Park, Gwyneth Paltrow, and most recently, Sean “Diddy” Combs. His work has been featured on Bon Appetit​, Food & Wine​, ​and in the Los Angeles Times​. 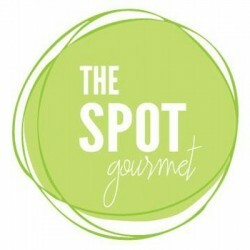 Restaurant Realty recently had the opportunity of representing Matthew in the purchase of The Spot Gourmet which is a major catering company in Glendale and we wish Matthew continued success in his long career ahead.